Thursday night was a great night for “returns” at the KeyBank Center. 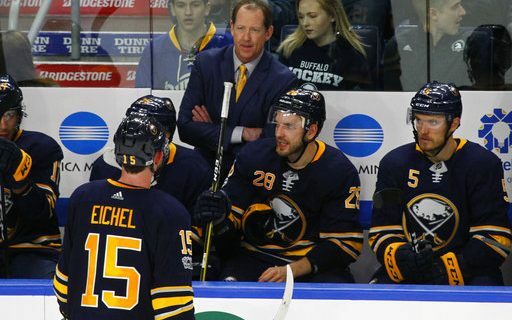 We knew that Phil Housley would be behind the bench as the Sabres’ coach. It was his first time as a Sabre since he left Buffalo in a trade to Winnipeg more than a quarter of a century ago. We knew that Jason Pominville would be wearing #29 again for Buffalo. The popular winger was reacquired in the offseason from Minnesota, prompting a few jerseys and one banner to come out of storage and be displayed in the building. Between that little drama and the news involving Jack Eichel and his contract extension, the KeyBank Center certainly felt like the place to be on Thursday. Opening night, or if you prefer, Opening Night, always carries a little buzz to it. This time, though, the enthusiasm level jumped up a couple of levels. It probably wasn’t a return to mid-2000s levels when a Stanley Cup seemed within reach, but some hope was in the air. Maybe the new management team and a series of new acquisitions has helped, and maybe the Bills’ good start has reduced the cynicism level of the fan base for the time being. But maybe the most significant return was the style of play that the Sabres displayed. It was pretty entertaining – what you might have expected going in from a team coached by Housley, one of the best skaters to ever put on a Buffalo uniform. The final score may have been 3-2, Montreal in a shootout, but the shots were more indicative of what happened. 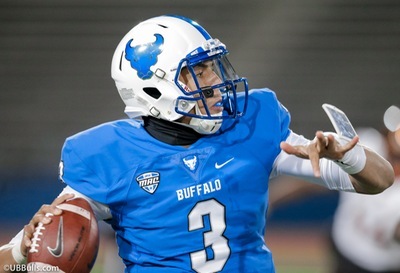 It wound up 45-40 in favor of Buffalo. The problem, naturally, is that not enough of those shots went in. Pominville was the only one to solve Montreal goalie Carey Price, beating him twice and delighting a crowd that gave him a loud ovation when the team was introduced before the game. When Pominville lined up for a shot in the shootout, everyone in the building had thoughts of a Hollywood ending for the veteran winger. But he just missed the net, Jonathan Drouin of Montreal completed a superb move that led to a goal, and the Canadiens exited the building with two points. Forget those dreams of the Bills and Sabres both being in first place on the same day. In the long run, it’s naturally far too early to jump to any conclusions about this edition of the Sabres. Housley naturally will never forget it, as he now has a “one” next to his name under games coached in the NHL All-Time Coaching Register – and with the team he first joined when he was 18 years old. The long, long season is underway, and it will be full of twists and turns that are unpredictable in nature. The fans returned home after the game feeling entertained, and maybe they’re thinking there’s a chance this won’t be a season as business as usual.